Today I would like to share an invaluable SEO web design technique to refine the focus of your pages using images and alt attributes for create relevance for SEO. Sculpting the focus of your pages translates into coherence and relevance for search engines. 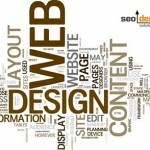 For example, if you have repetitive elements on a page, such as a legal footer (that is 200 words of legalese), a tag line in your title tags, overpowering navigation (which breaks down as a cascading tree menu), then all of these things are impacting the word count, text to link ratio and either increasing or diffusing the relevance of each page. With examples such as this, you may consider using an image as an alternative (make a high res image with that text instead and use that instead of text) to lower the co-occurrence or non specific keywords and replace the nebulous shingles of text. If in doubt, then look at your pages Google cache in text only view by clicking on a search result (cache link then selecting text only) link to see how spiders really see your pages with all of the style sheet information removed. Frequently when conducting an on page website review and analysis we see multiple pages in a website that for lack of better terms are so similar to the market focus of multiple pages (which essentially means, since they are so alike, nothing distinguishes it from others). As a result, lackluster performance impacts the relevance score of the page by diffusing the keyword focus and jumbling the phrases, modifiers and keywords in an attempt to make sense of what that page is really about. Add to the fact that the anchor text is typically wide open with no real regard for continuity using off topic keywords for links (click here, contact us, etc), linking from multiple methods from one page to another (from the home button or link, from anchor text in the body and say for example an image as well) confuses the order of importance. 1)	Add additional text on the topic – you can either add 100-200 additional unique words to a page or add 2-3 more supporting pages and internally link them to the target page to increase relevance for specific keywords. The fastest way to get in the top 10 is to get a link from a website already ranking in the top 10 for a keyword. Similarly, in order to make your on SEO page factors prominent, linking from a page (all about Topic A) with a relevant link (about Topic A) to you preferred landing page within your site, transfers that ranking factor through the anchor text. The more competitive the keyword, the more internal links you should use, using a variety of modifiers, reversing the order of the words if applicable or related synonyms as links to the target page (you wish to elevate). 2)	Use images as links when adding text links is not applicable. Images can be tactfully integrated into a page and the alt attribute harnessed to link pages with relevant keywords. If you still have images on your page lacking alt text (spiders cannot interpret images so you need to tell them what the image is). For example, if you have an arrow leading to a free quote page, the arrow could say get a free quote as the alt attribute. If it is a link, then the text in the alt attribute counts as a viable link and that value gets transferred to the target page. So, if you cannot change the text on the page (due to upper management bureaucracy , you don’t want to throw off the flow of the text, or whatever reason) you can use images to sculpt relevance, make a visual suggestion or act as internal links. As a result, that page is infused with internal link relevance and then combined with the fact that the weeds have been removed or pruned (noisy words minimized while relevant keyword dialed in) your pages focal point is conveyed to search engines. Firstly I’ve enjoyed you blog since I started reading a few weeks ago – so thanks. Even though the topics are often quite basic, they’re described in a comprehensive fashion. No for my first question – it is rumoured that the first link to any given page is the only one that carries anchor text value – how does your internal linking technique stack up with that? I suggest using only one anchor to a target page from one page to another. If you use more than one (one from an image, another in anchor text, another in the navigation) you essentially diffuse the others. Try using no-follow on the less prominent keywords if you must. On the topics, I have to keep it light for the audience / angle, but I suggest digging deeper into the posts for more detailed info. Thanks for the reply – a very interesting point regarding diffusion, and a tricky one to get around if your cross linking to pages that are linked to from your main navigation. Custom navs per page here we come! we said the same with you. 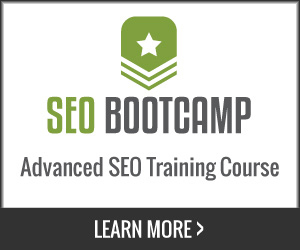 Congratulations for this Seo technique. 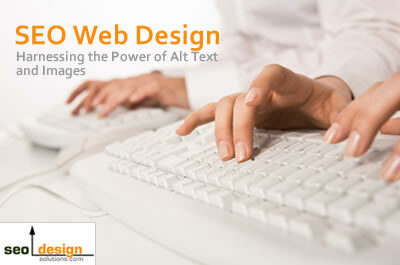 wow..SEO designs and alt attributes is a big help for those websites and webpage ranking.